Description: $20 shipping to your local FFL in the Lower 48 States. The FNS-9 Compact offers the same features as the standard models but has a 3.6” barrel and is designed to be snag-free for better concealment and a faster draw. The front sight also has a larger dot for faster target acquisition. 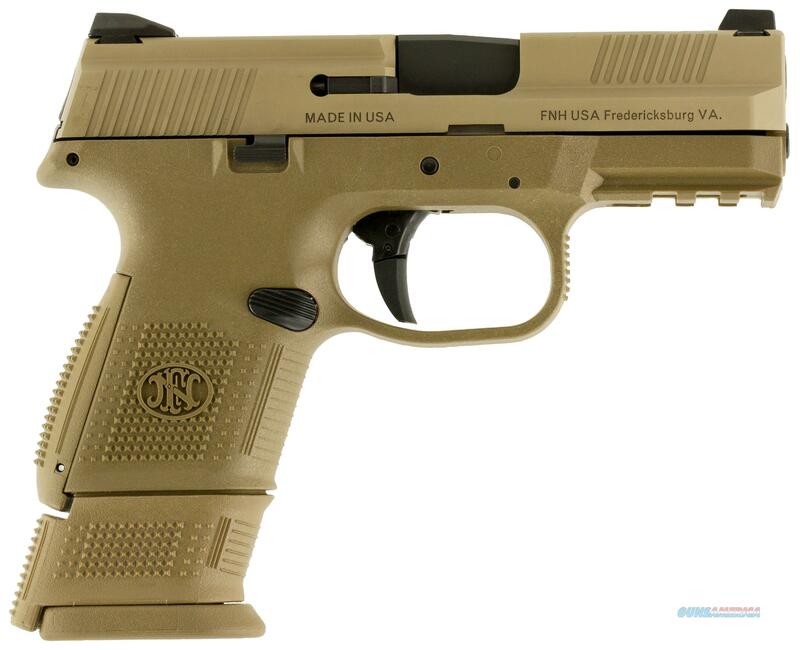 The FNS™-9 Compact comes with two 12-round and one 17-round magazine. Caliber: 9mm Operation: Double-action Mag Capacity: 10, 12, or 17 Rd. Weight: 23.4 oz. Barrel Length: 3.6? Sights: Fixed 3-dot Overall Length: 6.7? Twist Rate: 1:10" RH Height: 5.2" Width: 1.35" Trigger Pull: 5.5 - 7.7 lb. Sight Radius: 5.6"